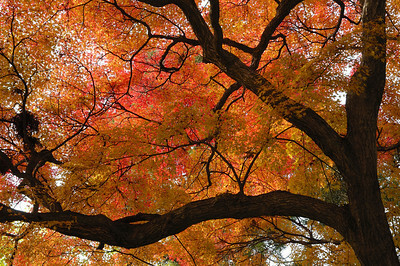 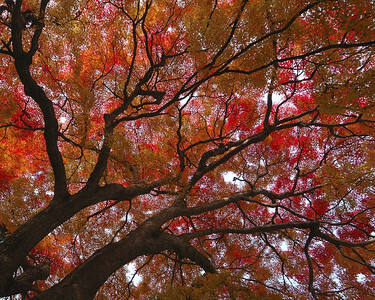 Fall in Japan is marked by the explosion of colors on the trees. 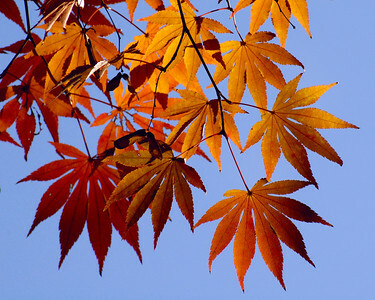 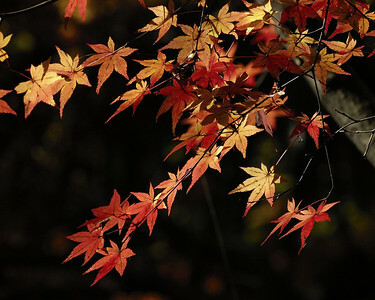 This is the period of "red leaves" "or "fall leaves" ("koyo" or "momiji" 紅葉) and "fall leaf hunting" ("momiji gari" 紅葉狩り)．After the long hot summers, it is a welcome period of cool mornings and pleasant afternoons. 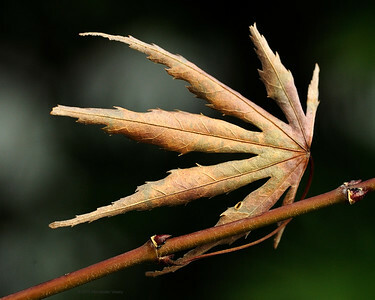 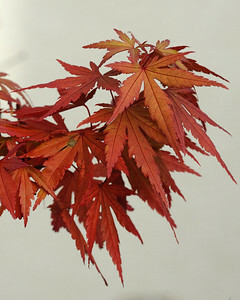 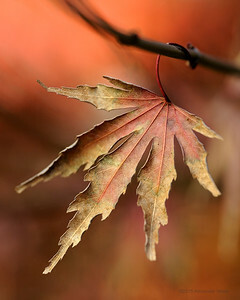 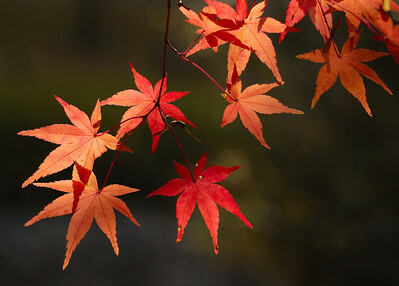 A number of species turn red before shedding their leaves, but the Japanese maple (kaede 楓) has become so associated with this transformation that the names for the tree is popularlu called "momiji." 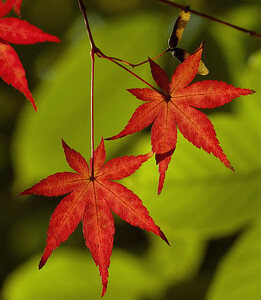 But, as some of the shots here show, the supple green leaves of spring are just as beautiful. 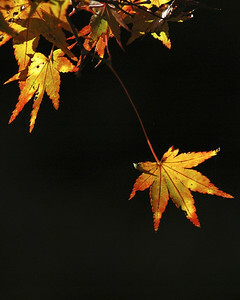 To get the most out of maples in the fall, it is best to see them with backlighting. 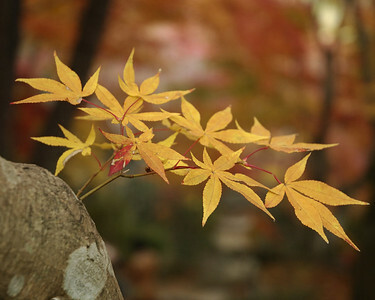 The leaves literally become florescent in tone. 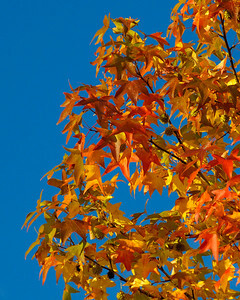 Some of the shots here may seen over wrought, but in some cases I opted to -tone down- the saturation from the original files. 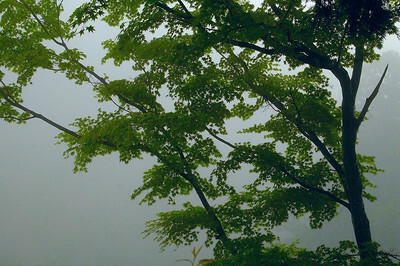 A maple in the mist at Yoshiminedera in western Kyoto. 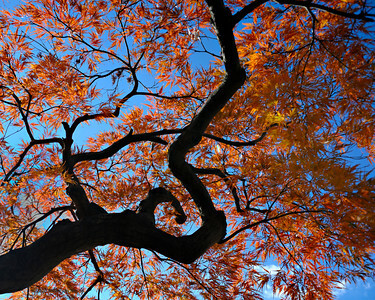 The largest maples have wonderful branch structures. 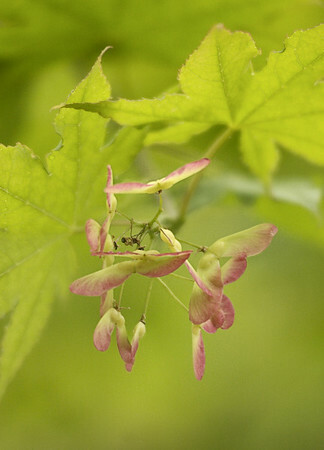 Maple seeds in the spring.